CoreAO stiks - BeneYOU, LLC. CoreAO — the “AO” means “antioxidant” — from M boosts your immunity with the most powerful disease-fighting super nutrients on the planet. The clear xanthone champion is powered by Mangosteen, Açai, Bilberry, Grape-seed extract, Astragalus and Catechins. Contains BioPerine®, which increases bioavailability by 25–45%. 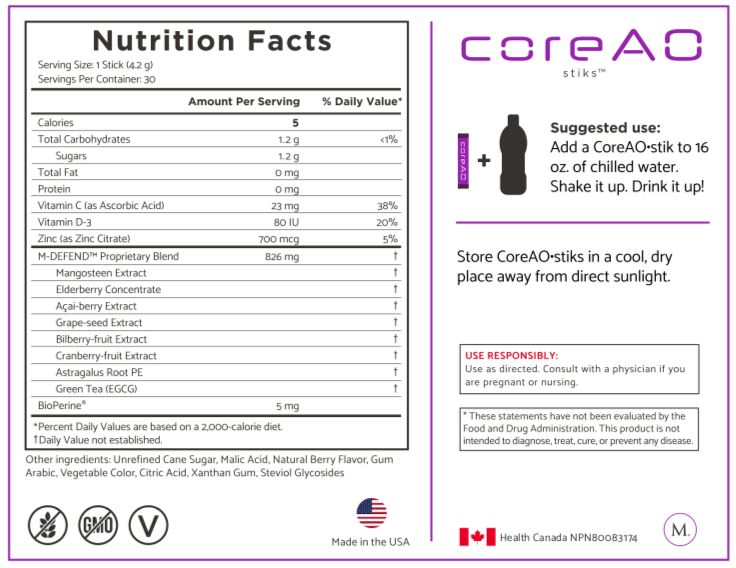 Add a CoreAO•stik to 16 oz. of chilled water. Shake it up. Drink it up!